Just in case you thought there was an end in sight to your Call of Duty: Black Ops II obsession, more game modes are on the way. 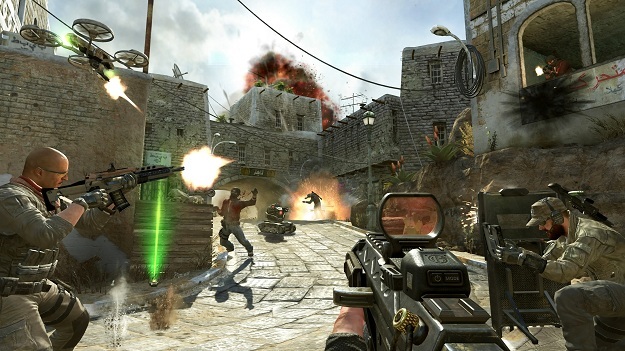 During a Q&A session on Reddit, Black Ops II Design Director David Vonderhaar revealed that there are “several” game modes they’re considering for release, but nothing is certain at this point. “Although we haven’t released any details, or even decided which ones, nor could I give you a count or time, we have several game modes we play in development,” wrote Vonderhaar. Reports of servers issues for Black Ops II players on the PlayStation 3 are also being monitored closely, according to Vonderhaar. He also shared his favorite feature from Call Of Duty development that never found its way into a game.